A stylish statement piece, this bookcase ticks all the boxes and will give many years of pleasure. It blends beautifully with the other items in the Lambourne range. This bookcase has cupboard doors complete with glass panels to show off any items on display. It also has a paneled design on the cupboard doors at the base. It is made out of European Oak with a finish that can be chosen to match your decor. With a bevelled stepped top and a graceful base this is a timeless classic. 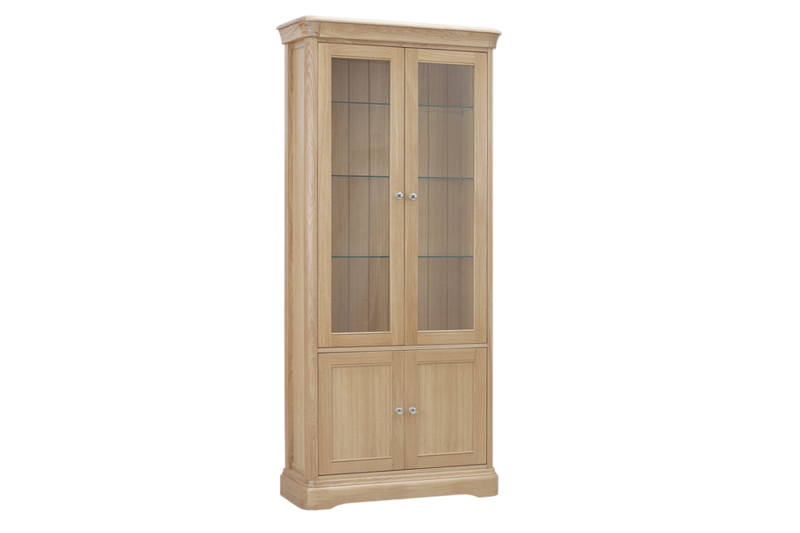 Match this bookcase with the other pieces in the Lambourne range to complete the perfect look in any room. Choose from dining tables, dining chairs, and coffee tables. and occasional pieces.